You’ve somehow managed to save a nice little, well let’s be honest here you’ve saved up a Scrooge McDuck sized bank vault full of coins ready to purchase your first home in the beautiful City of Vancouver, BC. Your budget is between $700,000 CAD to $1,000,000 CAD and you’re excited to see what kind of dream homes you can consider! Your Realtor® takes you out to show you what you can afford and of course shows you a property at the top of your budget. 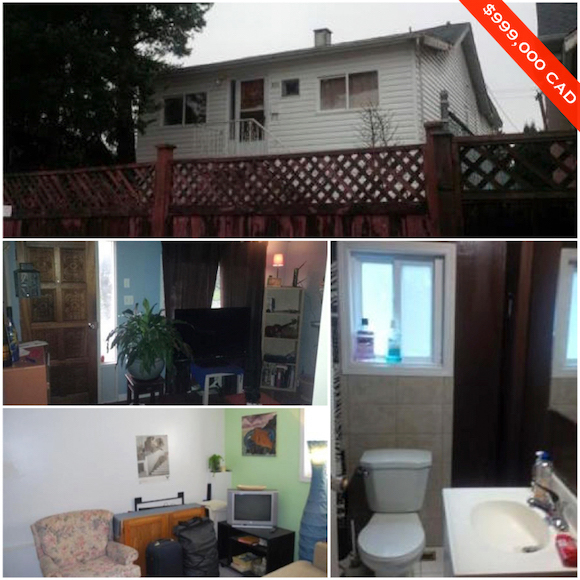 It’s listed at $999,000 CAD and lacks any kind of curb appeal on a quaint 3,663 square foot lot. 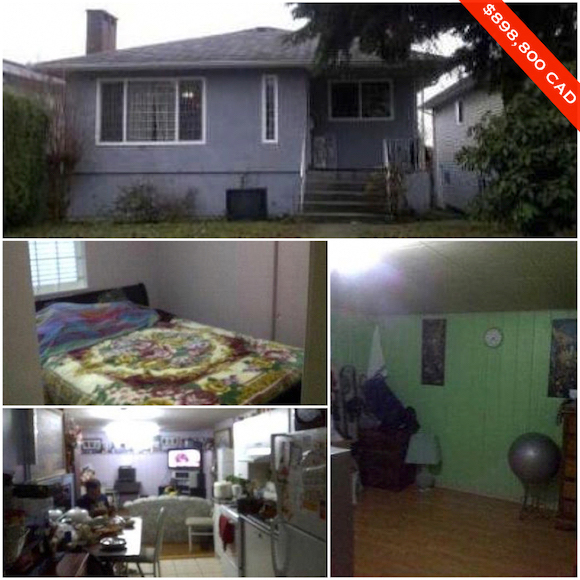 It’s described as a “solid bungalow” with 8 bedrooms, 3 bathrooms, a single car garage, and claims to have gorgeous views of the North Shore Mountains but neglects to show them in the listing. Not what you were expecting? Onto the next property. 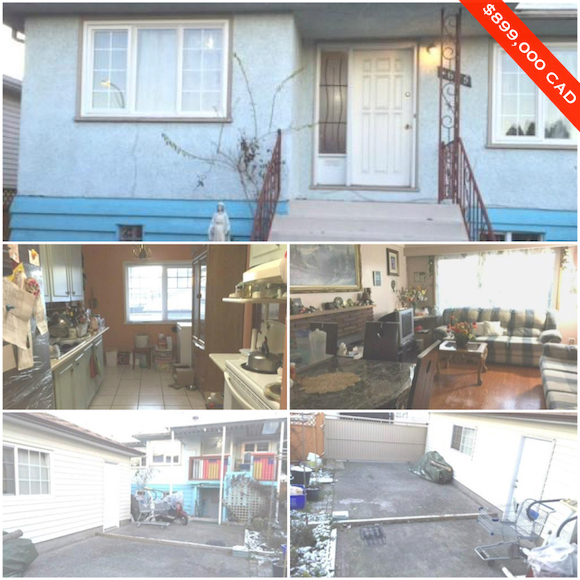 Also listed at a mind blowing $999,000 CAD is this 1,938 square foot stucco box with 5 bedrooms, and 2 bathrooms all on a 4,026 square foot lot. The listing says you can build a 3-level home and a laneway house – which would leave absolutely no room for a front or a backyard. You don’t want to live in the current home and your budget isn’t allowing you to build a home on this $999,000 CAD lot so you move onto the next property. 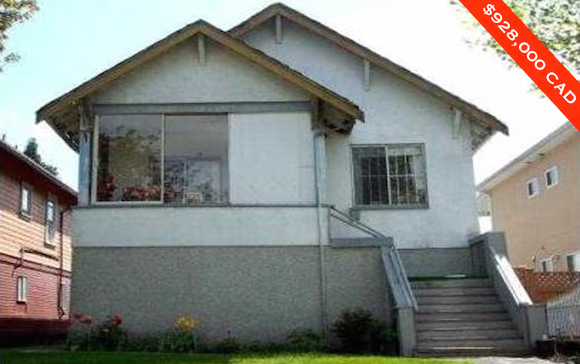 Coming in at $998,000 CAD is this dated but very clean 1,700 square foot home with 4 bedrooms and 2 bathrooms. It’s set on a 5,115 square foot lot and according to the listing can accommodate a large home as well as a laneway house. At this point you’re starting to get worried with the properties your Realtor® is showing you. You managed to save $1,000,000 CAD and this is what it gets you? NEXT. Up next we have a 1,937 square foot home on a 3,705 square foot lot listed at $928,000 CAD. It’s described as being in a fantastic location on a quiet tree lined street. The home features 9′ ceilings on the main, 4 bedrooms upstairs, and a 2 bedroom suite downstairs. There are also 2 full kitchens, 2 full bathrooms, a newer furnace, and a private backyard. All that for $928,000 CAD. 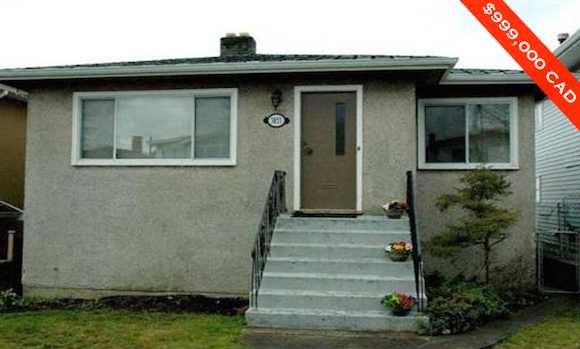 Your agent takes you to a much more affordable bungalow with a list price of $899,000 CAD. Built in the 1950s, this home offers 1,860 square feet with 5 bedrooms, and 2 bathrooms on a 4,430 square foot lot. 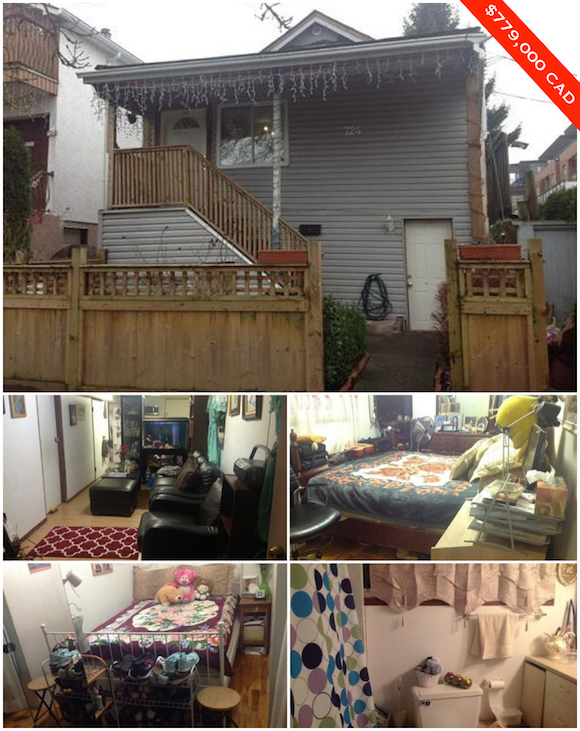 The listing says the home has a renovated basement but of course doesn’t show it in the listing. It has a newer roof, a 2-year old hot water tank, double glazed windows, and a shopping buggy in the backyard perfect for those late night shopping trips. The listing also says it’s great for a first time buyer. 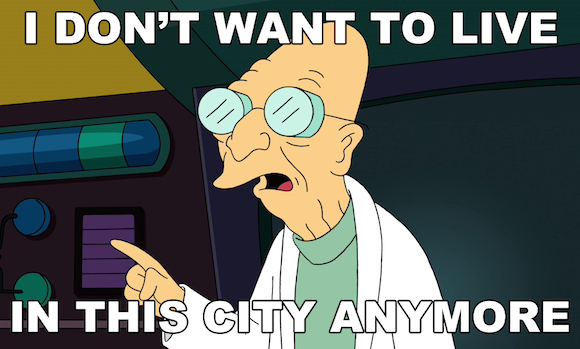 Feeling hopeful you agree to let your agent take you to another property. It’s listed at $898,800 CAD and is the largest of the homes yet with over 2,500 square feet of space on a 3,795 square foot lot. 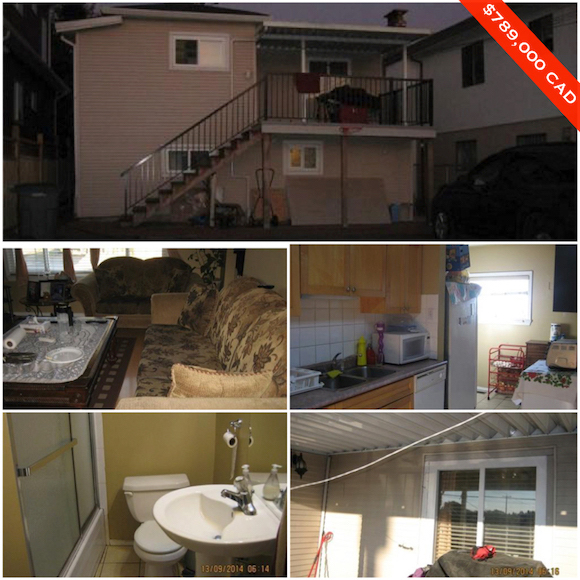 The home features 3 bedrooms on the main floor, a legal 2 bedroom suite below, as well as a 1 bedroom suite. You’re starting to realize your dream of owning a beautiful home with your $1,000,000 budget isn’t exactly in the cards but you trek on. I’m not going to lie, this house is actually pretty cute and has a lot of potential but with a list price of $799,000 CAD it’s pure evil. It offers 2,100 square feet with 7 bedrooms and 3 bathrooms, on a 2,374 square foot lot. The listing says, “The house has gone through major updates during recent years,” but like the previous properties neglects to show any of those said “updates.” It’s yours for $799,000 CAD. Your agent tells you about a “cute and cozy” home that has undergone “renovations on both floors” – that is…according to the listing. The listing also notes that it has a “new kitchen”, “covered sundeck @ back”, and “living room thermal windows.” Those sound expensive. The home offers 1,600 square feet with 4 bedrooms and 2 bathrooms on a 3,795 square foot lot. It’s listed at $789,000 CAD. 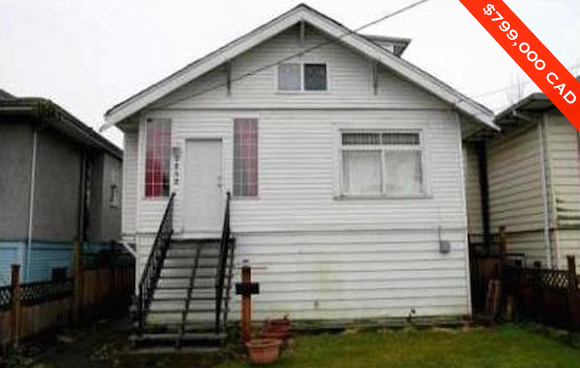 It’s an office…it’s a school…no it’s just another weird looking Vancouver home! 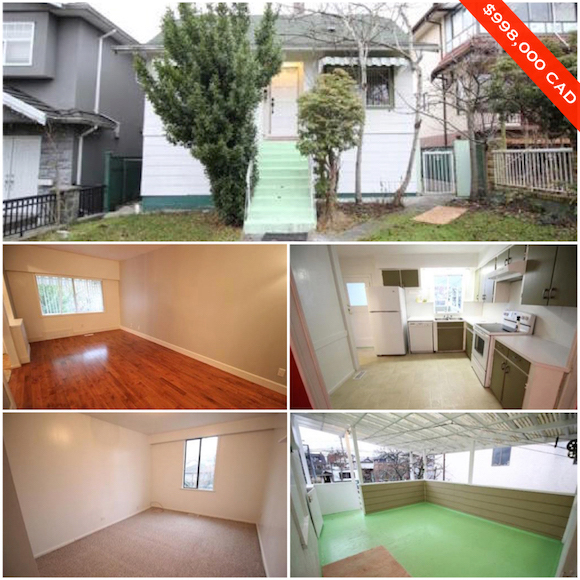 Listed at $779,000 CAD is this very strange looking (inside & out) Vancouver home with just 1,480 square feet of living space. It was built in 1910 which in itself is quite impressive but it appears all of the character has been stripped away and replaced with vinyl siding and icicle lights. There are 6 bedrooms, 2 bathrooms, and multiple basement suites. It’s set on a 2,640 square foot lot. That last house took your over your limit and you’ve decided that, “I don’t want to live in this City anymore.” Even if you can afford to buy in Vancouver, BC is it really worth it?